Ever dreamed of having an insane amount of rocks? Neither have I, but it's fun. 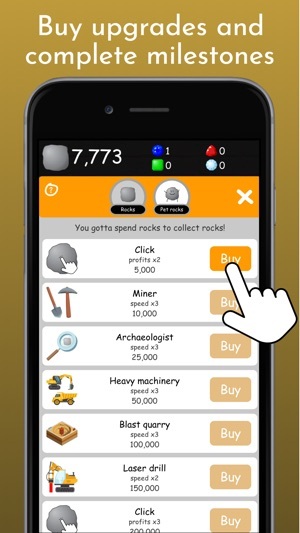 This game will let you experience how it feels to collect insane amounts of rocks. Why? Because it's fun. Why stop at a million rocks if you could have trillions, quintillions or even quattuorseptuagintillions of rocks. Starting your own rock business is easy. 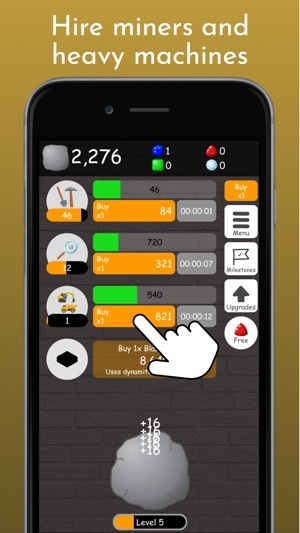 Collect rocks, purchase miners, heavy machines, laser drills and many more to collect rocks for you, sit back and watch your amount of rocks grow and grow. 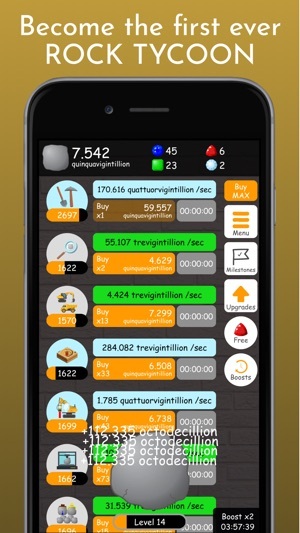 Level up, complete milestones and purchase upgrades to increase your profits. The more rocks you earn, the better. 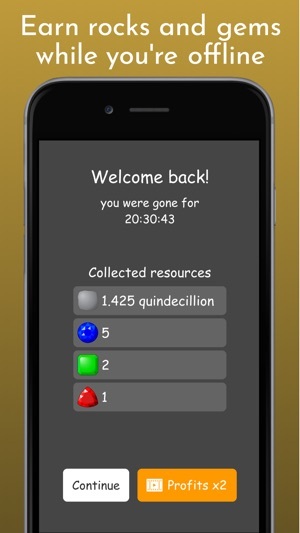 Besides rocks you can also collect gems. Gems are beautifully colored shiny rocks which can be used to boost your profits in various ways. 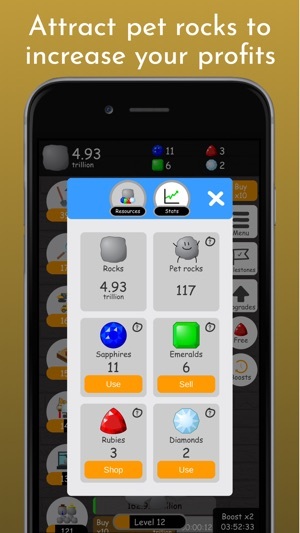 Large amounts of rocks will attract pet rocks, these are cute little rock-like creatures that will boost your profits even further, giving you the opportunity to earn insane amounts of rocks. Excited yet? 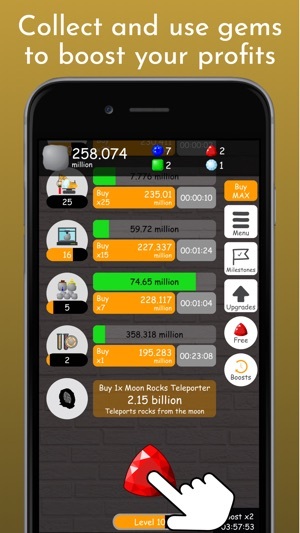 Start your business today and become the first ever rock tycoon! This game is regularly updated with improvements.